Impressive math skills, huh? With Tuesday’s rain-out, the 2017 opening Yankees-Red Sox series becomes a two game affair. It plays havoc with a wager I hold every year with a die-hard Red Sox fan. Years ago, when we were both bloggers, we started making bets on every series. Over the years, I’ve had to wear Red Sox caps in photos (including a pink one one year), write long posts about past and present Red Sox players, and sport Red Sox-related profile pics through social media. 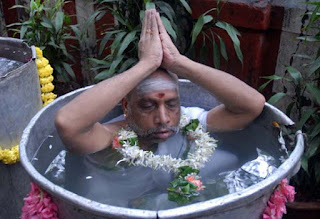 My friend no longer blogs so the current bets tend to revolve around FaceBook profile and cover pics. With only two games, a split means the win goes to the team with the most runs scored. The loser has to use a Red Sox player as their FaceBook profile pic for three days under the current bet. So, I have a vested interest in the Yankees to take this series. Yes, it’s all about me. The rained out game will be made up on Sunday, July 16th as part of a day-night double-header. The scheduled starters are pushed back a day so Luis Severino takes the mound today against AL Cy Young Award Winner Rick “Justin Verlander Deserved It More” Porcello while Masahiro Tanaka, in the series marquee matchup, faces Chris Sale on Thursday. CC Sabathia becomes an observer for this series, with a probable early flight back to New York for Friday’s start against the AL East leading Baltimore Orioles. 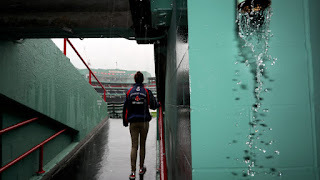 It’s raining again today in Boston but hopefully the rain gods will make way for the 7:10 pm EDT start time to allow a few hours of clear skies. Oh yeah, this is Yankees-Red Sox, better make that four hours of clear skies. 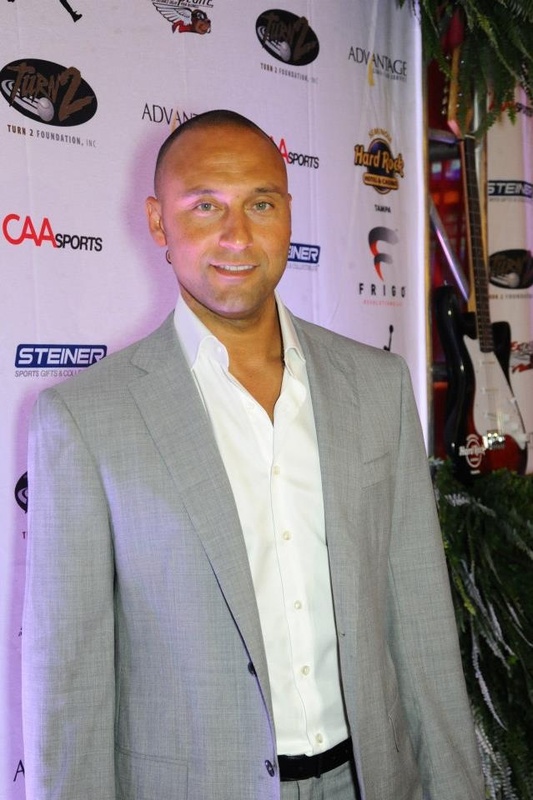 I am not sure what I think about the possibility of Derek Jeter becoming an owner in Major League Baseball. As Bloomberg reported yesterday, the group led by former Presidential candidate and Florida Governor Jeb Bush and Jeter won the auction for exclusive negotiating rights to buy the Miami Marlins. The sides still have to hammer out a formal written agreement that must be approved by MLB owners, but I do not see any roadblocks to the eventual sale. I suppose that all things considered, it would have been worse for Jeter to buy his local Tampa Bay Rays. Under that scenario, the Yankees would have had to face a Jeter-owned team 19 times a year in the fight for the American League East. With Jeter owning a National League team, the Yankees won’t face the Marlins except for every few years in inter-league play. There’s the possibility that the Yankees could face the Jeter-owned Marlins in the World Series at some point. But for the most part, they won’t step foot on the same field at the same time. So, this is probably the best situation for Jeter’s dream to be a Major League owner, particularly considering the Steinbrenner Family has no interest in selling the Yankees. It was tough to watch Don Mattingly, a lifetime Yankee, put on another team’s jersey. If I have a second favorite or National League favorite team, it is probably the Los Angeles Dodgers (okay, not probably, it is). 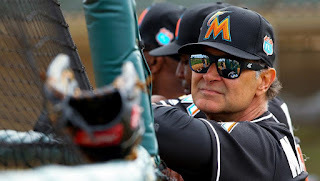 Mattingly as an assistant coach for Joe Torre in Los Angeles and then later the manager was very palatable. I was fortunate to live in Los Angeles during the Mattingly regime and I enjoyed having a long-time favorite player as manager of the local team. I remain a fan of Mattingly’s even though he now calls Miami home, but it’s weird. I am hopeful that he finds his way back home to Yankee Stadium one day. I do not know Jeter’s intended ownership percentage or how active he will be as the face of the organization. Unlike Mattingly, he won’t be putting on a Marlins uniform so technically the Yankees uniform should remain his only one. Magic Johnson is one of the owners of the Los Angeles Dodgers but activity-wise, he is a bigger part of the Los Angeles Lakers. Will Jeter take that type of passive ownership role or will he be the front man for the team like Denver Broncos non-owner John Elway? I can’t really see Jeb Bush taking a backseat to Jeter unless Jeter has the greater ownership interest. These are the things that will shake themselves out in the course of the coming days, weeks and months. Congrats to Jeter for apparent achievement of his lifelong dream. I hope he still finds time to visit the old stomping grounds on occasion. I saw an article today on the YES Network asking if the Yankees should protect James Kaprielian on the 40-man roster next year in advance of the 2018 Rule 5 Draft. I want to say now, they had better make room. This should not even be a discussion. I will be very upset if the Yankees do not add him to the 40-man next year and risk losing him. I was mad about the sequence of events that led to Jacob Lindgren signing with the Atlanta Braves. I hope we do not have a repeat situation with Kaprielian. I know that he has been plagued by injuries and his body of work in the minor leagues is fairly slim, but he is a top talent. If, I know…ifs and buts…, if he can stay healthy, I really feel that he’ll be a high end starter in the rotation. I am steadfastly a fan of Kaprielian’s and I look forward to the day he takes the mound at Yankee Stadium. The San Diego Padres, who had been carrying three catchers including Rule 5 draftee Luis Torrens (from the Yankees), demoted one of the catchers to AAA. Starter Austin Hedges has played very well this year. The catcher sent to AAA, Christian Bethancourt, was attempting to be a combo pitcher/catcher. The demotion leaves the soon-to-be 21 year-old Torrens as the primary backup for Hedges. In reality, Torrens should be no higher than A or AA so I am optimistic that events will force the Padres to upgrade backup catching to more seasoned talent to pave the way for the return of Torrens to New York. But as each month goes by, the chances decrease. Time will tell. Have a great Wednesday! I hope it’s a dry one!